The thought recently occurred to me that I am extremely easily amused. A stick, or sticks, and some fibres will keep me entertained for hours on end. 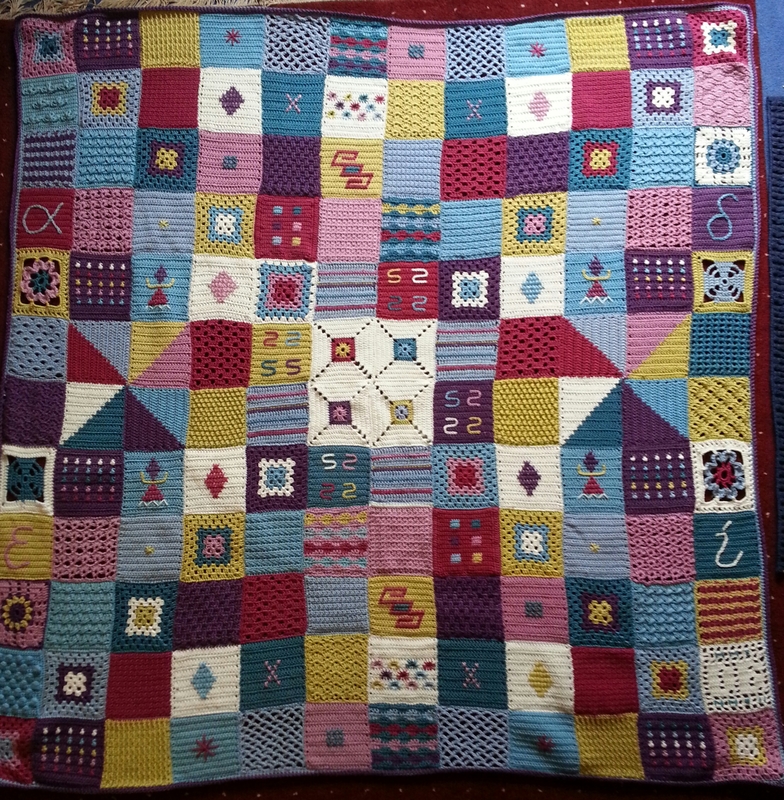 A hooked stick and twisted fibre: crochet. 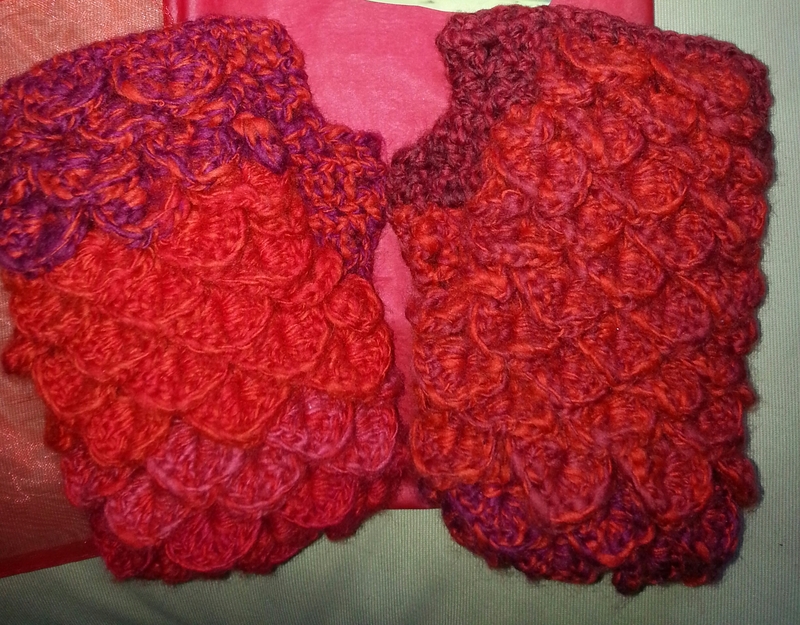 Two pointy sticks and twisted fibre: knitting. Add a weight to the stick and start with raw fibre and you’re ready to spin. It really is that simple. The drop spindle, made typically from a wooden shaft and a spindle whorl, is an ancient tool which has been in continuous use since at least neolithic times. 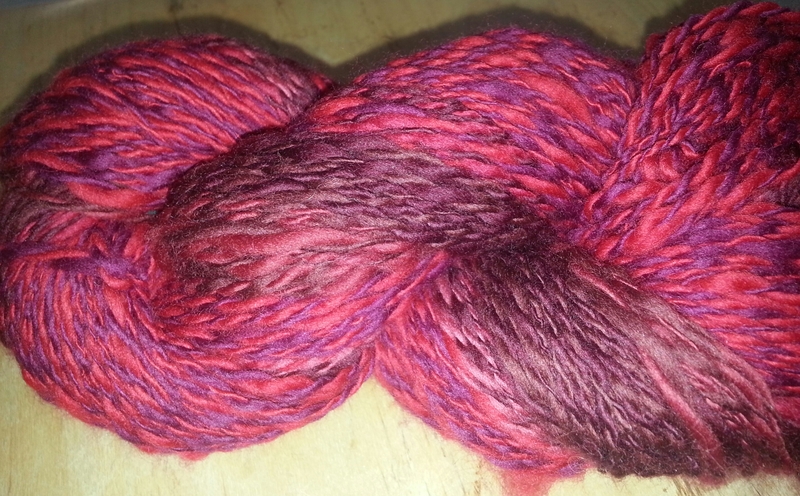 It is a cheap and easily available way to try spinning your own yarn. You can even make your own spindle (a length of dowel and an old cd will do it). The drop spindle is a beautifully modest, stunningly effective tool. When I received my first drop spindle I hit youtube for some guidance. I didn’t know it at the time, but I struck gold. The first video that seemed worthy of investigation was by Abby Franquemont. Her clear tuition got me started, and I didn’t look back. I did, however, look further into Abby Franquemont’s work, and bought a copy of her book “Respect the Spindle” . I think the title tells you everything you need to know. The drop spindle, humble though it may be, is no poor relation of the spinning wheel (a relative newcomer, not in general use until the 16th century, or thereabouts). 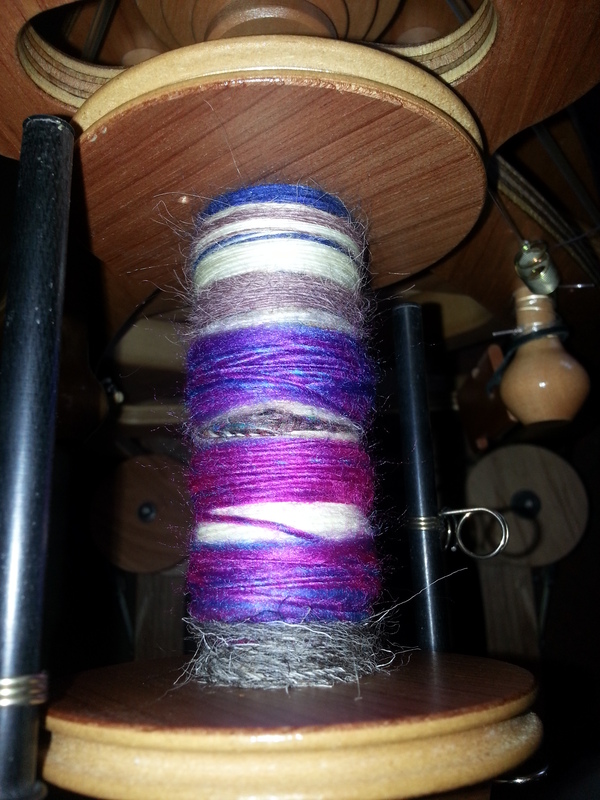 I do a lot of spinning on my wheel, but my drop spindles are not neglected. They are fine tools. I especially admire the craftmanship evident in my Schacht Hi-Lo spindle. 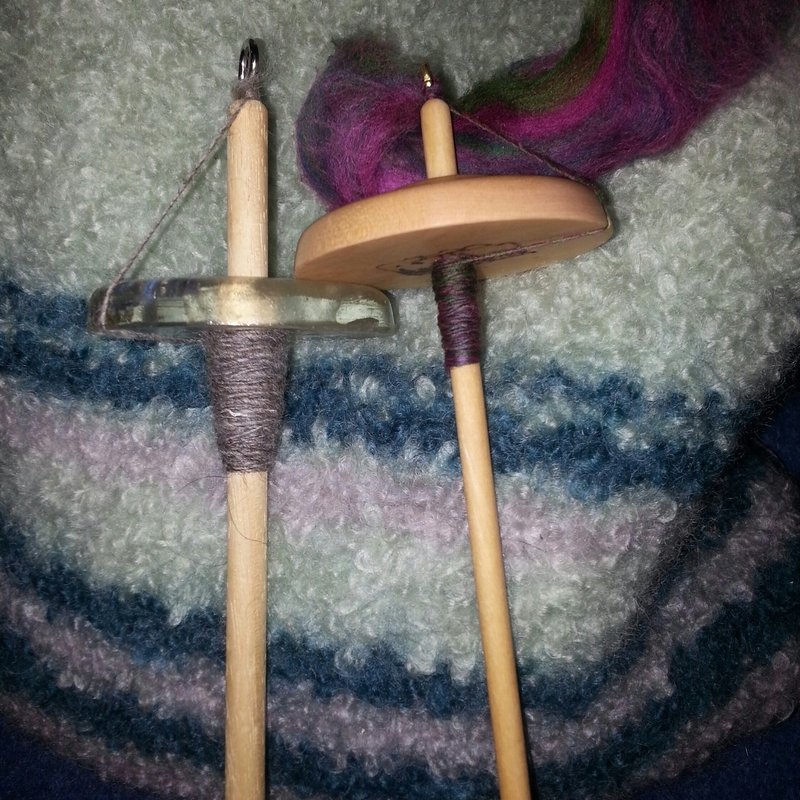 I love the portability of a drop spindle. I never leave home without some kind of fibre project to hand, and a bag containing fleece and spindle fills that niche perfectly. But the thing I love most of all, amongst the wide vista of possibilities involved in making your own yarn, is the meditative experience of spinning on a drop spindle. Flicking the spindle to set it in motion, the feel of the whorl spinning, angular momentum in your hands, the balance of drafting fibres through your fingers just in time for the twist to bind them together into a thread strong enough to support the weight of the spindle. And seeing the classic “cop” of spun fibre build up around the spindle shaft as an undeniable measure of what you have achieved, of what you have made with your own hands, during this day. 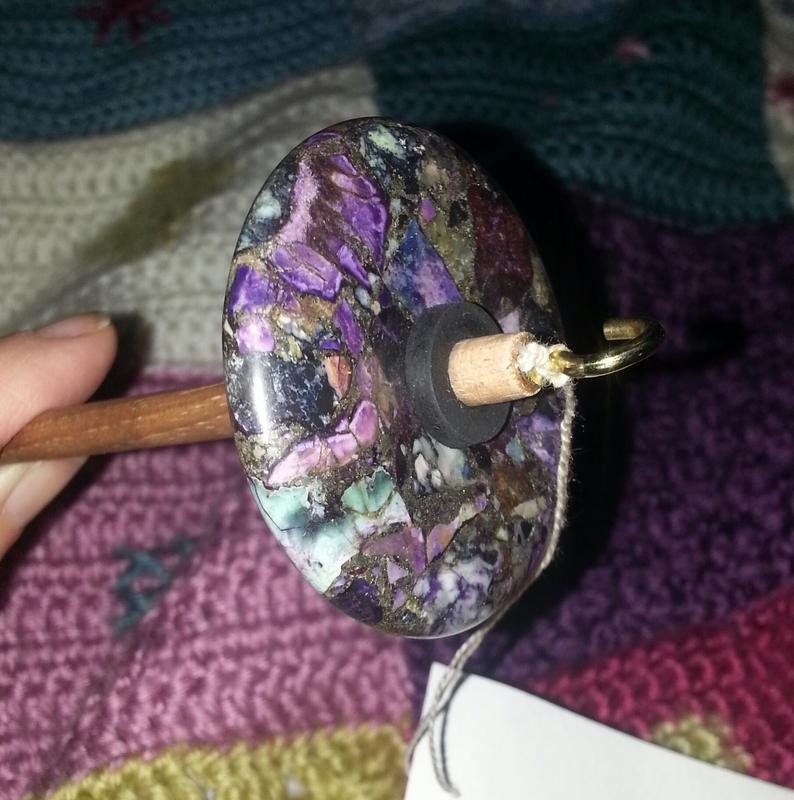 I lose all sense of time when I spin on a drop spindle, and what flows in is a profound sense of peace. … and possibly more that I’ve forgotten. 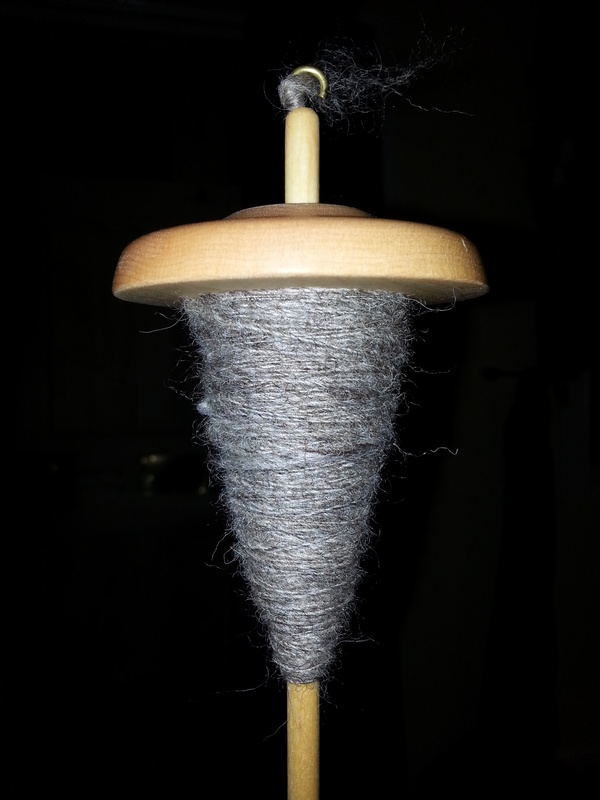 So, the obvious solution was to ply off the sampler bobbin with the bluefaced leicester. 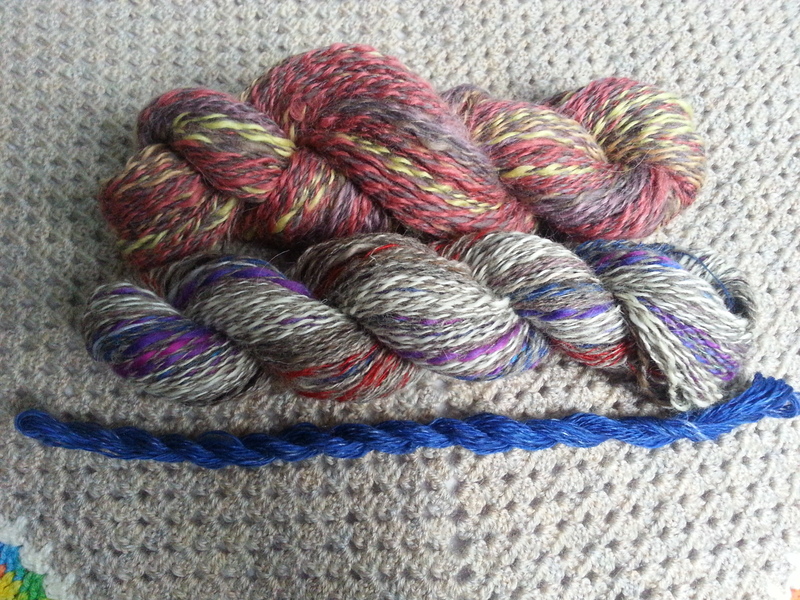 Here, in the middle, is the resulting skein called “Pick ‘n’ Mix”. It is joined by “Lapis”, made from remnants of a merino & silk mix 2-plied with itself from a centre-pull ball, and “Jovian Joy”, named by my daughter, which is 50% alpaca and 50% merino. I think this trio demonstrates that you can make beautiful, useful yarn from virtually any combination of colour and fibre mixes. Freedom to experiment is vital to creativity and growth. The things I have learnt from this experiment, some of them very unexpected, take me further forward in my learning journey and will certainly be seen again in future yarn.